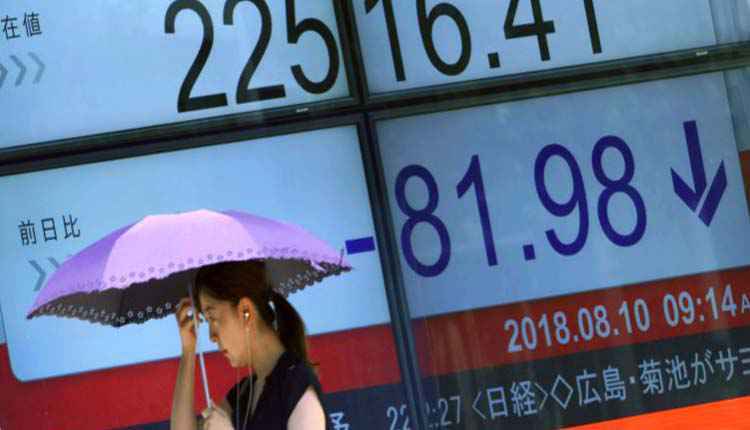 Asian stocks fell on Tuesday after Washington announced a new tariff on Chinese imports, exacerbating trade tensions between the world’s two largest economies. In Greater China, the Hong Kong Hang Seng Index fell 0.74% in early trading. The Shanghai Composite Index fell 0.12%, while the Shenzhen Composite Index fell 0.47%. According to a Monday announcement, US President Donald Trump will impose a 10% tariff on Chinese imports worth $200 billion, which will rise to 25% by the end of the year. The White House has removed about 300 items from the previously proposed list of affected products, including smart watches, certain chemicals and other products such as bicycle helmets and high chairs. Beijing has warned that it will take measures to retaliate. The United States has imposed tariffs on Chinese products worth $50 billion. Beijing has taken measures to target US$50 billion in US goods, raising concerns about damage to the US agricultural industry. Earlier this month, there were reports that the United States was trying to restart trade talks with China. After the announcement, US futures also fell during the morning trading hours in Asia. The Dow futures fell about 60 points, while Nasdaq and Standard & Poor’s futures continued to point to a negative opening. Earlier, Wall Street suffered a decline, and the Nasdaq Composite Index fell 1.4%. Analysts said the focus will shift to China’s response to the announcement. In the currency market, the yen against the US dollar was basically flat, trading at 111.85, and as of 9:51 am HK / SIN, the Australian dollar exchange rate fell to 0.7162. At the same time, the dollar index, which measures the exchange rate of the US dollar against a basket of currencies, was 94.550, which has fallen back from the previous 94.800. Analysts at the Commonwealth Bank of Australia said that if China decides to cancel new trade negotiations to deal with US tariff actions, the dollar may recover most of its recent losses. Oil prices have fallen as trade tensions may weaken global demand for crude oil. US crude oil futures fell 25 cents to $68.67 a barrel, while international benchmark Brent futures fell 42 cents to $77.63 a barrel. Copper prices, the global growth barometer, fell for the third consecutive trading day.